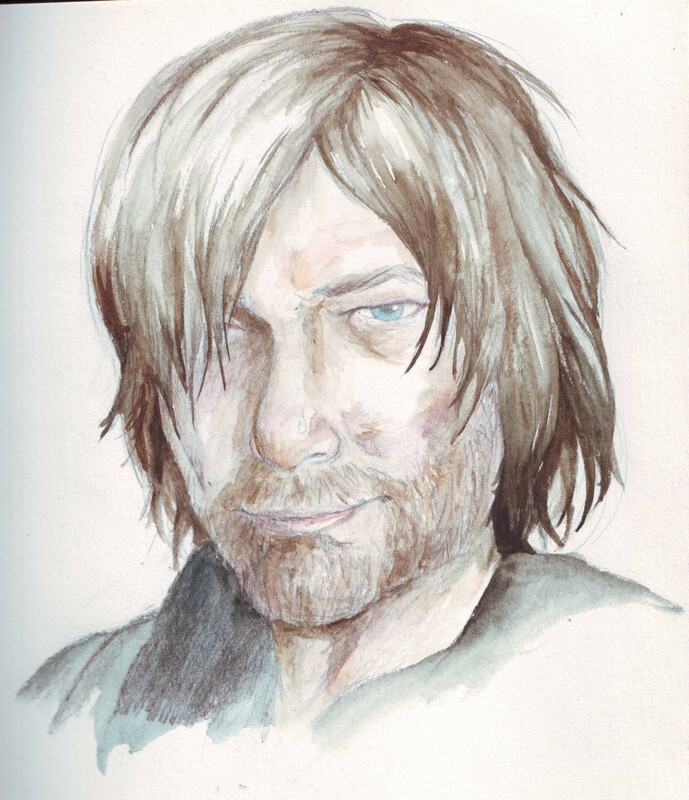 Daryl Dixon – to ink or not to ink, that is the question. Watching the episode where the walking dead broke my heart this evening (no spoilers but OMG, the scene on top of the bin, series 6) I had to create my bit of man candy. Whenever he pops over the brow of a hill on his motor bike there is audible swooning in my household. Now that the picture is at this stage, my favourite and worst part is now upon me. Do I leave the painting how it is, pencil and watercolour…or…do I bite the bullet and ink it up. I’ll probably sit on it for a few days and stew.